Barber Foods expanded its frozen-food recall on Sunday after more illnesses were reported. PORTLAND, ME: Vehr Communications is helping Barber Foods after the company voluntarily expanded its recall to include more than 1.7 million pounds of frozen stuffed chicken products due to possible Salmonella contamination. The agency has been working with Barber Foods, which is owned by AdvancePierre Foods, for the past year. Nick Vehr, the president of the eponymous firm, confirmed the relationship, but declined to comment on the communications strategy for the recall. Barber Foods first announced the recall on July 2, involving 58,000 pounds of the company’s chicken products; it was expanded on Sunday after more illnesses were reported. So far, at least six Salmonella cases have been linked to the consumption of Barber Foods products. "[Barber Foods] is working collaboratively with the USDA to modify our production practices including, but not limited to, additional levels of microbiological analysis and additional control procedures to reduce Salmonella in both incoming and outgoing raw stuffed chicken breast products," Barber Foods said in an emailed statement. "We are aligned with the USDA and FSIS, in the interest of public health, to reduce the incidence rate of Salmonella in these types of products." 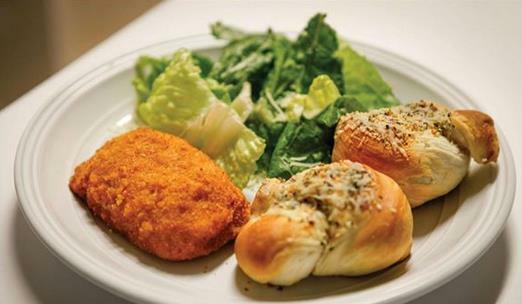 The US Department of Agriculture’s website includes a list of all recalled Barber Foods products, including its chicken Kiev, chicken cordon bleu, chicken tenders, and chicken broccoli cheese meals. The products were manufactured between February and May and sold in supermarkets in the US and Canada. The company has set up an "important news" section on its homepage, pointing customers to the USDA’s statement and a FAQ page about the recall. It also began using a consumer hotline. Last night, Barber Foods posted on Facebook and tweeted about the expanded recall. Grocery and club stores that carry Barber Foods’ products are also directly reaching out to customers who have purchased the potentially contaminated products. Barber Foods parent AdvancePierre Foods also owns brands including Better Bakery, BIG AZ, Fast Fixin', Hot 'n' Ready, PB Jamwich, Pierre, Smart Picks, Steak-EZE, and The Pub. This incident follows a string of other recent food recalls involving Blue Bell Creameries, Sabra Dipping, and vegetarian frozen-food Amy’s Kitchen – all due to potential contamination fears.